Representative Peter DeFazio (D-OR) re-introduced legislation into Congress today that would permanently protect the 30,500-acre Devil’s Staircase Wilderness in the central Oregon Coast Range. The Devil’s Staircase area is named after a series of stair-step waterfalls carved into the bedrock of Wasson Creek, the main waterway which passes through the proposed wilderness. The area of spectacular old-growth forest, located approximately 10 miles northeast of Reedsport, is home to a host of endangered species, including Oregon coastal coho salmon, marbled murrelet and northern spotted owl, and provides an unparalleled experience for backcountry adventurers. Due to its remote location, steep topography and unstable soils, the area has largely escaped industrial clearcutting. Conservation organizations have long advocated for permanent protection for the Devil’s Staircase area, which was first proposed for Wilderness by Rep. Jim Weaver (D-OR) in the 1984 Oregon Wilderness Act, but was swapped out at the last minute for a more imminently threatened area. The bill would also designate 14 miles of Wasson and Franklin Creeks in the Wilderness proposal area as Wild and Scenic under the federal Wild and Scenic Rivers Act, which is celebrating its 50-year anniversary this year. Companion legislation in the Senate is currently being championed by Senators Ron Wyden and Jeff Merkley and was re-introduced last summer. A mark-up in the Senate is scheduled for later this month. 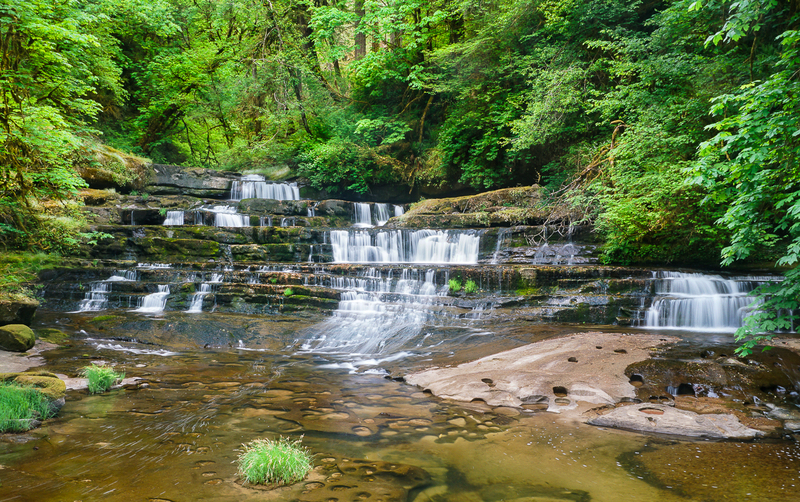 The western three-quarters of the Devil’s Staircase Wilderness is administered by the Siuslaw National Forest and the eastern quarter is overseen by the Coos Bay Bureau of Land Management (BLM).